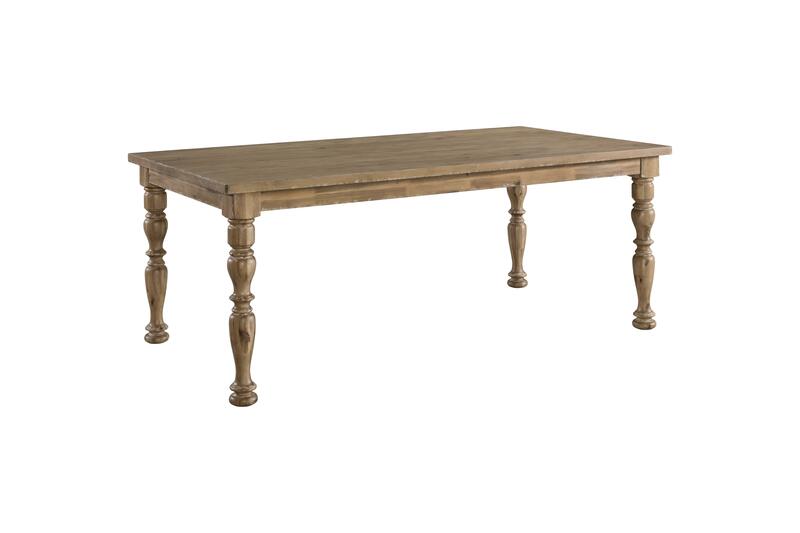 Urban Charm Farmhouse dining table offers tantalizing Old World Rustic styling. The acacia veneers are emphasized by a Sherwin Williams Rustic Wheat finish w/ Powder Flour Emulsion highlighting. 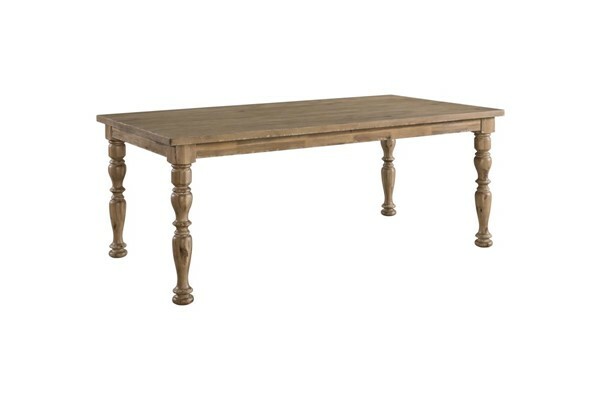 The 78"L farmhouse leg dining table features graceful leg turnings that works in perfect harmony with the Old World Dining Side Chair or the Button-Tufted Upholstered Side Chair. The group also offers a stately Old World Farmhouse Storage Buffett. Boasts solid wood turned legs for a sophisticated touch.